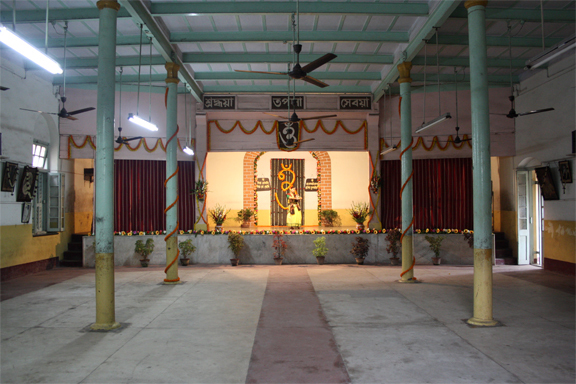 The Brahmo Balika Shikshalaya was established in 16th May,1890 by the Sadharan Brahmo Samaj on the 12th anniversary of its foundation. The objective of the Shikshalaya was to give sound intellectual training to its students based upon religious and moral instruction. It was conceived to be not just an institution not to teach their students just to pass examinations but to make them proper citizens to serve society. Hence the motto as engraved in the emblem of this Shikshalaya : Shraddhya, Tapasya , Sevaya. The Managing Committee appointed by the Sadharan Brahmo Samaj consisted of the following members:- Babu Madhusudhan Sen, Babu Upendra Kishore Roychoudhuri, Babu Adinath Chatterjee, Babu Umesh Chandra Dutta-Secretary,Miss LabanyaPrabha Bose �Assistant Secretary , Pandit Sivnath Sastri, Dr. M.M.Bose and Babu Umapada Rai. A boarding establishment was added from 1st October of the same year.